Christian Michel whose custody ends today, was extradited to India by UAE in the Augusta Westland VVIP chopper scam. Delhi's Patiala House court on Saturday extended the CBI custody of alleged middleman in the AgustaWestland VVIP chopper deal case Christian Michel by four days. Michel had borne foreign air travel expenditure of serving and retired Indian Air Force (IAF) officials, the CBI told the court during the hearing. Christian Michel, whose custody ends today, was extradited to India by UAE in the Augusta Westland VVIP chopper scam on December 4. The court permitted Michel's lawyer Rosemary Patrizi to talk to her client for 10 minutes after she argued in the court that she has represented him for almost 5 years in Italy & Switzerland. 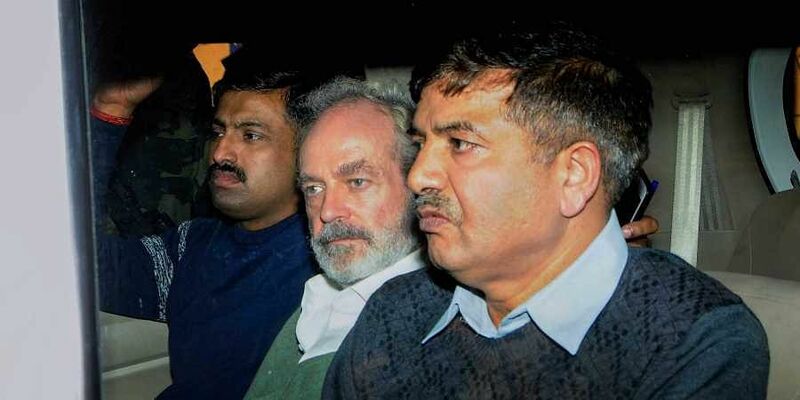 The court also allowed Aljo K Joseph, Michel's lawyer in India, to meet the accused along with Patrizi. The CBI had questions on Patrizi's credentials in the court and wanted Michel's custody to be extended to collaborate with some evidence and confront with some witnesses. CBI also said it wants to take Michel to Mumbai for further investigation. Michel is among the three alleged middlemen being probed in the case by the Enforcement Directorate (ED) and the Central Bureau of Investigation (CBI). The others are Guido Haschke and Carlo Gerosa. Both the agencies notified an Interpol red corner notice (RCN) against him after the court issued a non-bailable warrant against him.